By 3Q Digital on 04/03/2013 in "Mobile Blogs"
Today’s post is by Account Coordinator Frank Zhang, an ex-Googler who helped launch Google Places and knows every ramen restaurant in the Bay Area. Both PPC and SEO practitioners have more and more reason – and tools – to tackle local search these days. Whether it’s using geo-targeting as an important targeting technique for PPC ads or using certain SEO-friendly directories to help your business rank well in community-based searches, local search is more robust than ever. Here’s a quick primer on how to optimize a business for local search. You can use this on any scale, from driving more foot traffic for a local business or increasing sales volume for a national business (think of a clothing chain that might hold a winter sale for galoshes in Portland, down jackets in Boston, and sweaters in San Francisco). Geo-targeting enables you to display your ads broadly or narrow your distribution down to regions, country, and metro, allowing better control on cost by better targeting your customers and customize your ads. 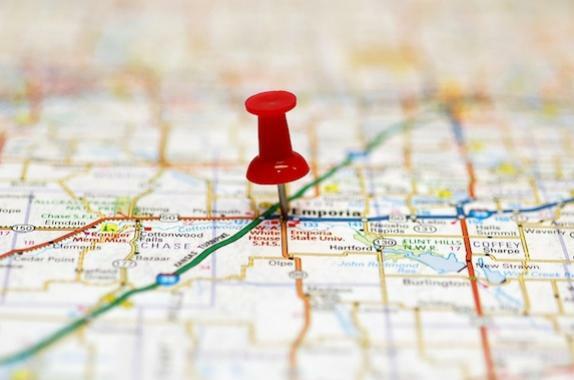 The general idea is to get clicks and customers from a specific location that you’ve targeted. With the ever-growing smartphone market and releases like the agenda-pushing Enhanced Search, mobile location search is a market not to be neglected. Nowadays, people search for things like the nearest theater using their handheld devices, and perhaps they follow up by searching for something nearby after their events. Occurrences like these are at the essence of local search (both PPC and SEO); it is important to enhance your mobile account and keep data up to date. And despite some of the well-chronicled drawbacks of Enhanced Campaigns, the release has made mobile targeting much easier to manage. Using relevant keywords for your business is very important when it comes to SEO for local businesses. Adding location into your keyword can better enhance the ranking of your keyword. These keywords hold specific buying intentions for the user and will help drive better traffic to your local business. These local search databases can help you boost your traffic on top of your PPC ads. Google Places, which combines both social (Google+) and local search, definitely excel s when it comes to including community local searches. The results are most helpful for users who wish to find information relating to their own area. For example, when you select a listing for gardeners on Google Places, you will see all of the user-generated recommendations. This allows you to see other consumers’ opinions, which tends to help decision-making. Whether you’re proficient in PPC or SEO or both, there’s always something to be gained by focusing on local. Leave a comment with techniques that have helped your business!